I started "Movies You Should Buy" (now called "Movies You Should Own" because I belatedly realise it rhymes with Alex Cox’s old BBC2 film strand, Moviedrome) with The Satan Bug. Lovely "killer virus" movie that – probably the first. But there was a bigger and better "killer virus" film to come, one that marked the end of many of the trends The Satan Bug seemed to start – or at least coincide with. The title of this movie, which you should definitely own, is now used by virus researchers whenever they want to put a name to their worst nightmare: a virus that they can’t cure but is utterly contagious and can kill anything in a frighteningly short space of time. It’s The Andromeda Strain and it’s probably the best, clever-stupid "killer virus" movie ever made. Here’s the title sequence, complete with scary arse theme tune. Once upon a time, there was a medical student called Michael Crichton. He wanted to be an author, but despite his already having published some short stories under a pseudonym, no one wanted to buy the book he had written. Based largely on his student lectures, it was about a killer virus from outer space that scientists had to stop from wiping out the population. Then, one day, he read The Ipcress File by Len Deighton (also adapted into a "movie you should own" starring Michael Caine). Among that particular book’s many virtues was its use of the "false document" technique to make it seem like the events in the book had actually happened: car requisition forms, field reports – all the mundane trivia of spy work included for the sake of verisimilitude. 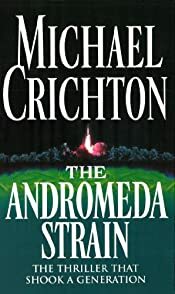 Crichton instantly rewrote his book, The Andromeda Strain, to encompass the technique, something he’s done with almost every single book he’s written since (cf Jurassic Park, in particular). He included a fake bibliography with references to non-existent articles in scientific journals. He included excerpts from letters, government reports and congressional records that he’d completely fabricated. He did everything he could to make it appear that his book was a true, scientific account of a dangerous accident that had occurred and only just been made public. The publishers lapped it up and in 1969 the book became a huge international bestseller. It was such a huge hit that the film rights were snapped up almost instantly and a hugely well budgeted movie was put into production within minutes of the deal being closed. The Andromeda Strain‘s filmic predecessor, The Satan Bug, was very much a thriller at heart, but it was a movie that tried to be scientific, something that helped it stand out from many of its predecessors, especially the B-movies of the 50s. In a sense, it was one of the heralds for first Planet of the Apes, then 2001, then a whole slew of 60s and 70s movies (eg Soylent Green, Rollerball) which while not desperately scientific at all times, did their level best to be intelligent movies that tried to discuss philosophical ideas as realistically as possible. The Andromeda Strain, however, is probably the most scientific of all of them – unnecessarily so, in fact – and actually marked the beginning of the end for intelligent mainstream sci-fi, the end being marked by Star Wars. Directed by Robert Wise, who also directed the 1950s classic The Day The Earth Stood Still, The Andromeda Strain is a faithful recreation of Crichton’s novel, faults and all. It starts, like the book, with the wiping out of a small town’s populace after a satellite falls to Earth. A team of scientists specially chosen for their probable ability to deal with a harmful extraterrestrial virus is hastily called into action. After surveying the town, they take the satellite and the town’s two survivors back to their research lab, an underground, five-level base called Wildfire. There they try to understand Andromeda, as the viral strain is eventually designated, and how to prevent it running amok through the world’s population. And that, pretty much, is the plot: a bunch of scientists running experiments. 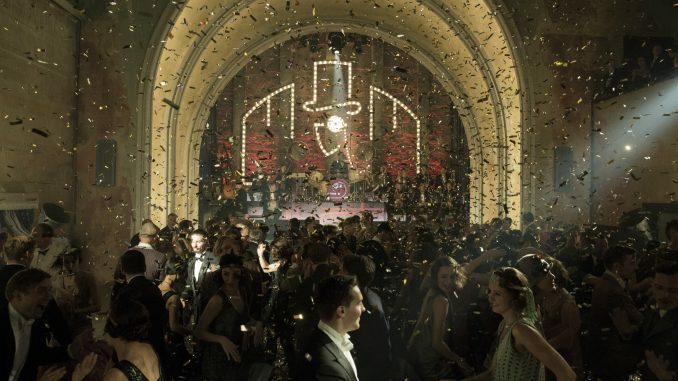 What marks it out of the ordinary is its recreation of the book’s verisimilitude and claustrophobia. The cast of The Andromeda Strain weren’t stars. They aren’t stars now. And they weren’t particularly pretty. They look, well, like a bunch of scientists. 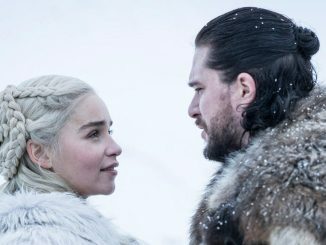 As well as being a nice change from the normal, that also lends an extra air of credibility to the movie, since no one’s manoeuvring for position or top billing. They’re also good enough actors to make you believe they’re scientists (unlike, say, Denise Richards in a certain James Bond film I could mention). The real stars of the film are the music and the direction. If Jerry Goldsmith led the way with his atonal work on The Satan Bug and Planet of The Apes, it was Gil Mellé, best known for composing the theme to Kolchak: The Night Stalker, who took the concept and ran with it. The Andromeda Strain‘s soundtrack is unrelentingly bleak and claustrophobic, almost every bar suggesting something scary or terrifying and alien. But he also experimented with extreme close-ups, and new lenses and techniques that allowed him to have objects in both the background and foreground in focus, giving the audience a sense of hyper-scientific observation and detachment. He also brought on board Douglas Trumbull, the visual effects designer of 2001, who went on to be a cutting edge director in his own right for Brainstorm (originally intended to be the movie that would mark the transition of the world’s cinemas over to IMAX). Trumbull was tasked with creating the computer graphics and visual effects for the Wildfire complex that dominates the film (and dominated the budget) – all in a time before computer graphics. And he does a marvellous job, convincing all but the most clued-up that his art and animation are the real deal. Where the movie falls apart is when it sticks with the source material too closely (something that Tony Scott is apparently avoiding in his A&E network remake, due out this year). The Wildfire complex, with its progressive layers of decontamination, is mostly unnecessary: its inhabitants are protected from direct contact with the virus so their being zapped by UV rays, etc, to have their outer skin layers, et al removed should be unnecessary. Yet a large amount of time is taken progressing the characters through decontamination, time that doesn’t add to the tension, although it does serve to increase claustrophobia somewhat – as well as that all-important verisimilitude (at least, for anyone who doesn’t think about it too hard). Equally, although Andromeda is built up through painstaking scientific detail and experiment to be shown as an incredibly frightening organism, for the sake of conventional plotting, there needs to be a denouement – and it’s not terrible global devastation. The ending, despite some wrinkles, is an appalling letdown in which Wildfire’s creators are more of a problem than the virus itself. Nevertheless, there are few "ticking clock" endings that are quite as tense as The Andromeda Strain‘s – or movies as scary. 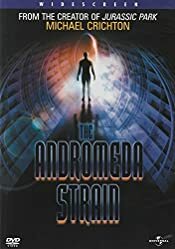 The Andromeda Strain DVD is a little no-frills for obvious reasons, but has good picture and sound quality, as well as a very in-depth "making of" featurette that interviews many of the original filmmakers. It’s definitely worth watching if you’ve any interest in the film itself. Here’s the original trailer for the movie. Like The Satan Bug‘s before it, it has one of those glorious explanations by the film-makers – Robert Wise in this case – about why you should watch the movie. Be warned: it also gives away about 95% of the plot. My review of episode one of Big Day.